Canadian home prices have been climbing for years, but with the introduction of new mortgage rules and January’s Bank of Canada rate hike, will prices continue to rise in 2018? According to some industry experts, the answer is they likely will. In Canada’s hottest housing markets — Toronto and Vancouver — many industry watchers are predicting that price growth will continue this year as strong demand, particularly in the condo segments, is met by limited supply. To nail down where prices are headed in 2018, BuzzBuzzNews has compiled industry commentary published in the last week. Although the Greater Toronto Area (GTA) saw a 17 per cent year-over-year increase in new listings last month, total new listings were the second lowest for the month of January in the past 10 years. Meantime, new listings in Metro Vancouver dropped 8.3 per cent in January compared to a year ago. With both markets continuing to face low supply, prices could be pushed upwards this year. “When you have weak supply responses, as you do in these markets, prices have nowhere to go but up. Alleviating these pressures lies in finding ways to increase supply and that is a shared job for jurisdictions at all levels,” writes Canada Mortgage Housing Corporation (CMHC) deputy chief economist Aled ab lorweth, in a statement. It was a weak start to the year for the GTA’s market, with a 22 per cent year-over-year decline in sales in January. But activity and prices are expected to pick up in the months to come, after the impact of the new mortgage rules and interest hike starts to wane. 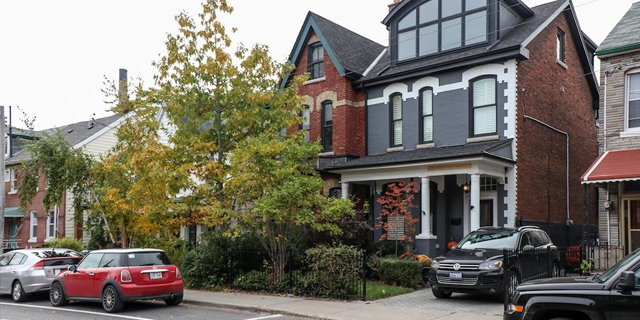 “It is likely that market conditions [in Toronto] will support a return to positive price growth for many home types in the second half of 2018. The condominium apartment segment will be the driver of this price growth,” said Jason Mercer, the Toronto Real Estate Board’s (TREB) director of market analysis. Demand remains elevated in Metro Vancouver’s condo segment, which contributed to the benchmark price of all properties in the region increasing 16.6 per cent year-over-year in January. “The odds are that the benchmark will accelerate further in the period ahead,” said RBC Senior Economist Robert Hogue, in a statement. “The sharper drop in new listings in January strengthened the hand of the sellers that remain in the market. This is especially the case in the condo segment where prices have outpaced those in all other categories in the past year,” he adds. This year, the Ontario and BC economies are expected to remain strong, which, in turn, could support stable price growth in their respective housing markets. The Metro Vancouver economy is in full swing, which Real Estate Board of Greater Vancouver President (REBGV) Jill Oudil says could result in steady price growth in 2018. “[Home values] do tend to reflect how the economy is doing. Overall, we have a great economy and it’s certainly been strong, right now it’s incredibly strong,” Oudil, tells BuzzBuzzNews.